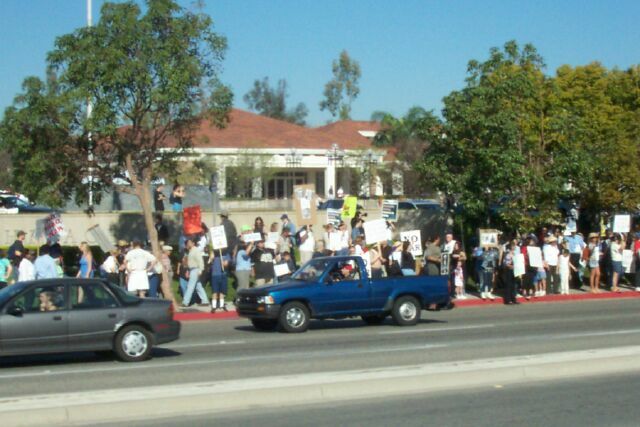 I went to the antiwar protest in Yorba Linda at the Richard Nixon Library. Here are some pics. Yorba Linda, behind the Orange Curtain. Make no mistake about it this is a conservative haven of conservative repulicans. 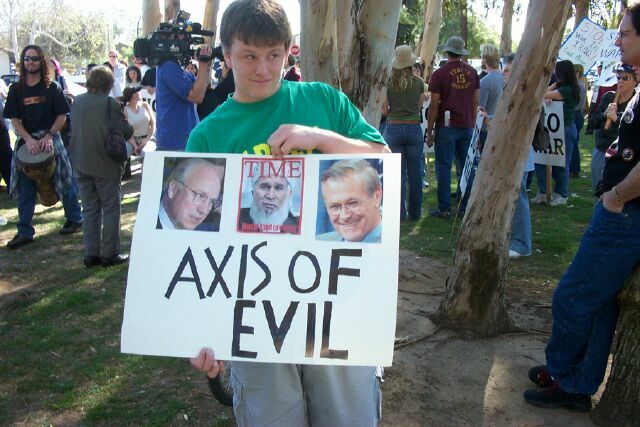 I would estimate about 1,000 people came out to demonstrate against Bushes upcoming war on Iraq. The turn out was great and the crowd there is definately dedicated to spread the word. When we got to the Nixon Library the crowd was chanting Bush Nixon Reagan and Kissinger War Criminals! 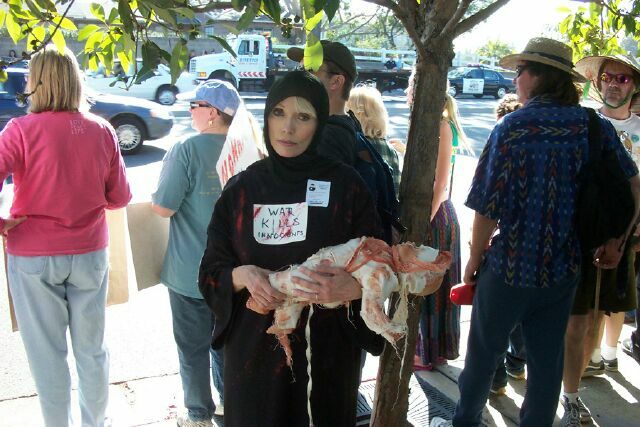 This woman's eyes really moved me.